Happy Friday! School! Who's excited for school?! (I'm excited for school. I'm even more excited to clean my garage.) Does anyone out there still read blogs??? Sometimes I wonder why I'm still doing this. (for all that Amazon pocket money LOL LOL LOL) But continue I shall because blogging is cheaper than therapy, or so my husband says. HA HA HA. We had someone come in to spray the spiders. I know, spiders are good. But I don't believe they are good when they crawl around and bite and terrify us (me). The exterminator dude tried to shame us and lecture us. (why did you stop using our services, ma'am? um, because it's expensive yo. try not to take it personally.) Has anyone used one of those high frequency pest repeller thingys? Is that snake oil? You should have seen me walking around the house before the pest control guy came - I was armed with Lemon Pledge (supposedly spiders don't like citrus), Cedar Oil, and some kind of citronella, oil of oregano something spray that the last pest control person gave us - spraying and misting all over the house. Andrew said he couldn't breathe. IF SPIDERS ARE SO GOOD FOR US AND THE ENVIRONMENT, WHY ARE THEY SO FLIPPING TERRIFYING LOOKING?? Why?! And why are their bites the size of quarters??? How schools are handling 'an overparenting crisis'. Beeswax candles. You can read more here about how they benefit the home. I feel the need to get some for fall. And in that spirit - I'm probably getting some kind of candle making kit for Julia this Christmas. She's been asking for something like it for a couple of years now. The kiddo wants you to know that she is OBSESSED with this show. Really, you have to watch the trailer until the end. I'm not sure how to describe all of this but I guess that if I were a 9 year old girl, I'd be obsessed with it too. And she's obsessed with the Toca Tailor game. An amazing sounding autumn dessert. Harry Potter fans - you will LOVE reading this list. 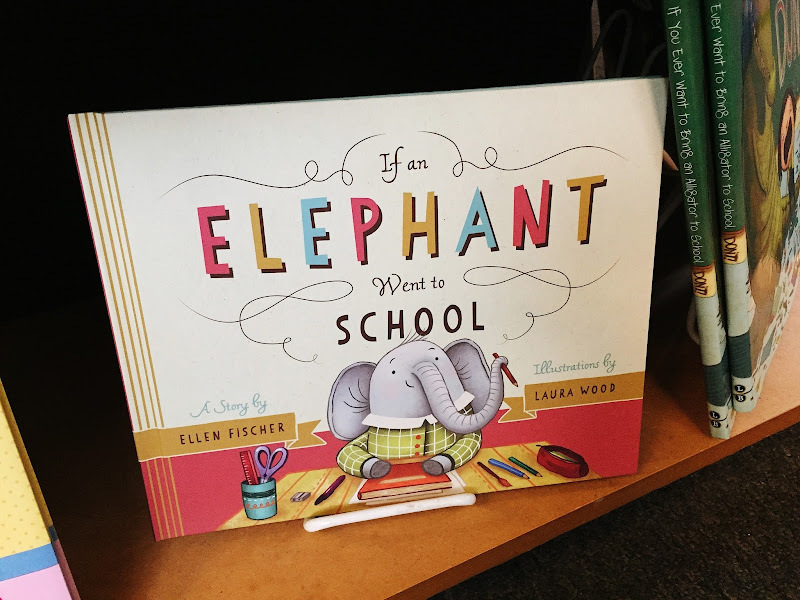 Cool Book of the Week: 'If An Elephant Went to School' by Ellen Fischer and Laura Wood looks SO charming for this back-to-school time. I saw it in a local bookstore and thought it was so sweet. Different animals learn different things when they go to class. Just perfect for the pre-K to 1st grade set as they head off to school for the first time. Precious! I read blogs!! I have been reading them since we got our first computer in 1996-back when blogs were called online journals :) I'm not on Facebook, and I do miss the old style kind of blogs-where people just kind of write about their day. I LOVE your blog, and I hope you keep writing! That was an interesting article about the overparenting crisis. I do feel I have been guilty of this in the past, but I think for us, it was more a response to the childhoods my husband and I had. We wanted things to be easier for her, when it retrospect-working through the difficulties in our lives are what give us strength. Now she is in college, and we are very hands off except for the financial aid. While I am sure it would be a good experience for her to handle it by herself-with thousands of dollars involved-I will admit I don't want anything to fall through the cracks. That article was fascinating to me. I had parents who didn't teach me very well how to help myself. 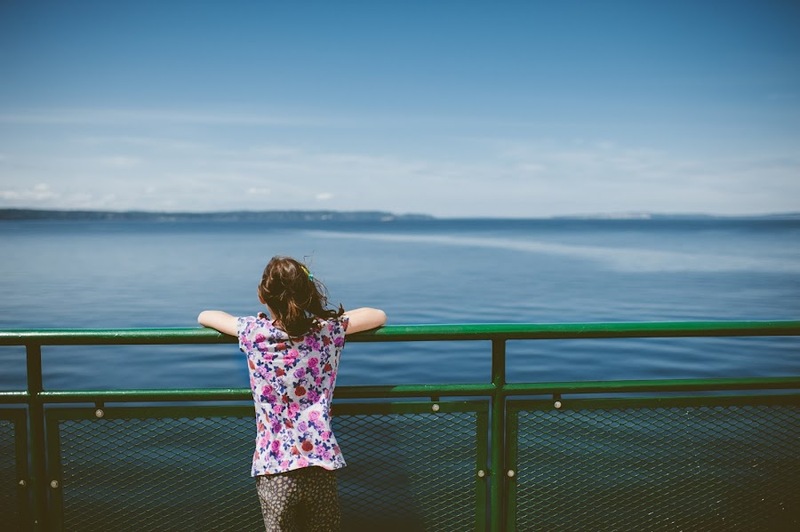 Useful things like doing the laundry, or how to write a resume, or how to fix things, or how to sew a button, or how to cook -- I had to teach myself all of that on my own and I felt very scared about it all. 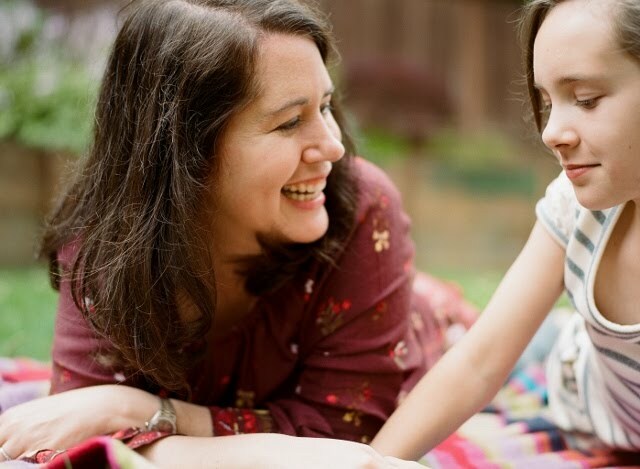 Mostly, I want to empower my daughter to be able to take care of herself and feel confident in her ability to do so! Hi Melissa! I love reading blogs when I have some free time! It's informative and a relaxing activity! Did I tell you that your blog is the one that made me want to create my own? I like it so much that I absolutely wanted to write a blog as fun and informative as yours! You have the best book suggestions and the coolest links ever! The book nook is simple but very darling and what every child should have. I have a tiny book nook (glorified title for a corner of the house really) but it serves its purpose... but not as pretty as this one. I can't stand spiders either. I know they are supposedly good but if I see one, I make sure it goes out of the house and not in my bed. Thanks for your cool Stuff list! It's so great as usual! Have a great Labor Day weekend! oh that is the sweetest - I didn't know that my blog inspired you to begin yours! that's too wonderful!! Ooh, that book is perfect for us! As was the overparenting article. Also, after a summer-long hiatus from my blog, I am so excited to get going again. Re-branding, talking about more (read: more therapeutic now!) and new design all coming soon. SO exciting! Happy first day of school, J!